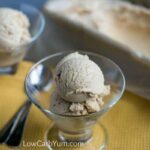 Cauliflower is one of those low carb vegetables that’s super versatile. 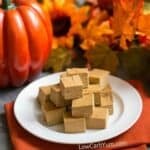 Low carbers have found ways to disguise things that are forbidden on the diet using it. You’ll find low carb pizza crust, a faux fried rice, and more made from riced cauliflower. And, cooked cauliflower that is processed well with butter, cream, garlic, and cheese makes a great substitute for mashed garlic potatoes. 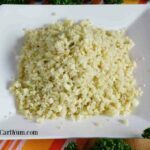 I find a food processor is worth the price when it comes to ricing cauliflower. The appliance is also what I use to make my cauliflower mashed potatoes. 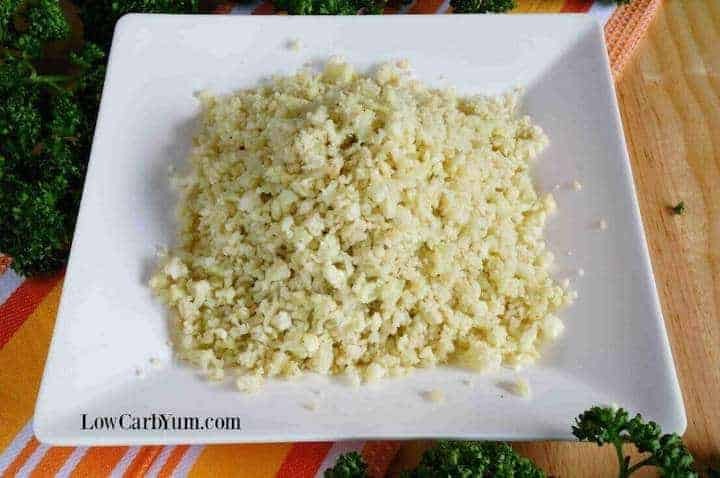 A lot of people don’t know how to make cauliflower rice. But, it’s super easy if you have a food processor. So, if you don’t have one of these kitchen appliances, I’d recommend buying one. A food processor is the best way to shred cheese and zucchini too. However, it’s not essential to rice your own head of cauliflower. Most grocery stores these days also sell fresh riced cauliflower in the produce section. And you’ll find it in the frozen vegetable section too. I use the grating blade on my food processor to rice cauliflower. But you can also cut a head of cauliflower in large chunks and pulse it in the food processor until it’s finely chopped. A hand chopper should work as well to make cauli rice. 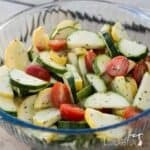 It works similar to a food processor to finely chop vegetables. The biggest difference is that it’s hand-powered so there’s no need for electricity. Even if you have an electric food processor, a hand-powered manual food chopper is great to have as a back-up or for times when you lose power. You can also rice the cauliflower the old fashioned way with a knife and cutting board. Just keeping cutting the cauliflower until it finely chopped. This method is great if you’re good with a knife and don’t mind the extra time needed to manually cut the cauliflower. Personally, I like to save time by using a food processor. Once the cauliflower is finely chopped in the food processor or a manual hand chopper, It’s ready to be cooked. My preference is to cook cauliflower rice in the microwave. So I put it in a covered glass Pyrex casserole dish and nuke it for 5 minutes on high power. There’s no need to add water to the dish as there’s plenty in the fresh cauliflower that steams it in the microwave. 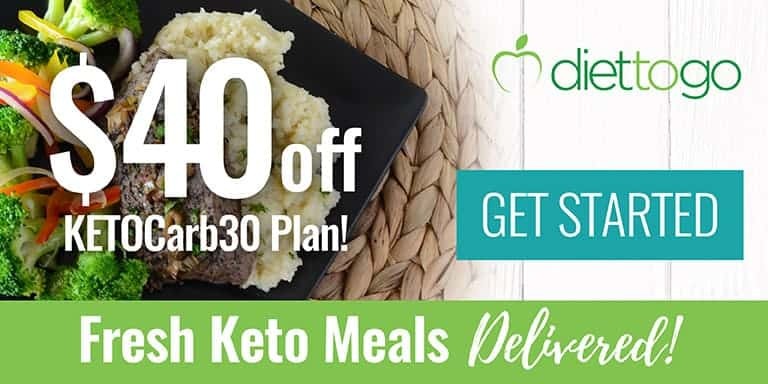 It’s literally just taking riced cauliflower, placing it in a covered microwavable dish, then cooking for a few minutes on high. 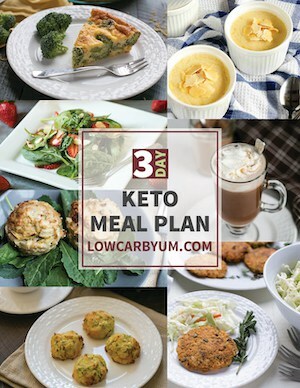 I find this healthy keto rice is a staple for the low carb diet and so easy to make. And, it’s perfect for making cauliflower pork fried rice when your’e craving low carb Chinese food. 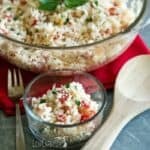 Now that you know how to make cauliflower rice, how will you serve it? There are so many things you can do with riced cauliflower, it’s impossible to list them all! I just discovered a recipe using cauliflower rice that is so good my 13-year-old daughter ate it without detecting that it contained a vegetable she would never eat. My daughter is extremely picky and hates just about every vegetable known to man. But, she loves the quick riced cauliflower with cheese and bacon that I whip up in the microwave. And she never refuses a slice of the ever popular cauliflower pizza recipe with pepperoni and cheese! 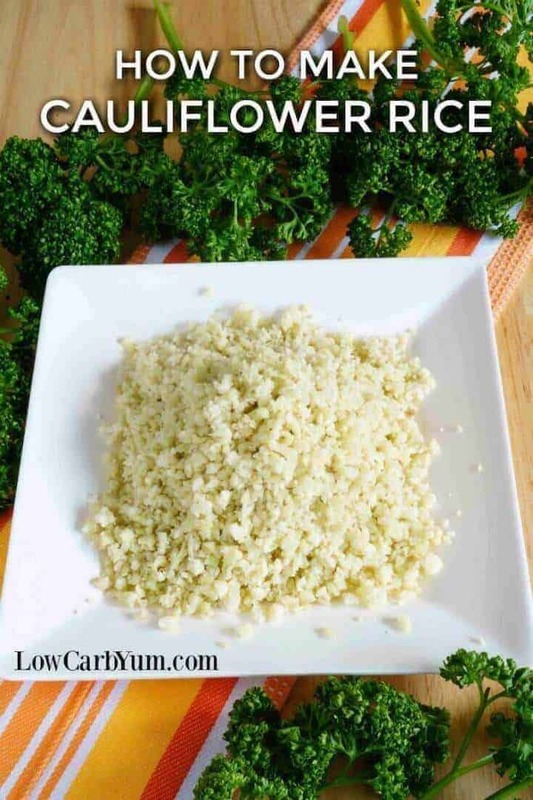 Want to know how to make cauliflower rice on the stove top rather than microwaving? It’s just as easy. You simply need to stir fry it in hot oil over medium heat until it’s tender. If you want to steam the cauliflower rather than sauté it in the pan, simply cover it with a lid until it’s tender. The liquid in the fresh cauliflower will come out as it’s heated and steam it. I do recommend using a non-stick skillet for this method just to make sure it doesn’t stick to the bottom. 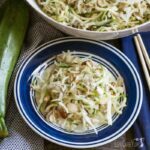 If you find yourself with too much riced cauliflower leftover, I’ve got a solution for that. 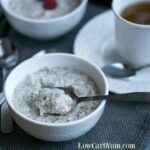 I put together a collection of easy and delicious recipes using riced cauliflower. 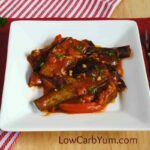 When I have leftovers, I like to whip up some low carb Mexican rice to serve as a light lunch or as a side dish with dinner. What’s your favorite way to eat cauli rice? 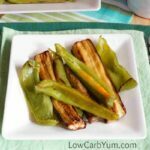 Do you eat it plain, fry it up, or use it as an ingredient in a favorite low carb recipe? 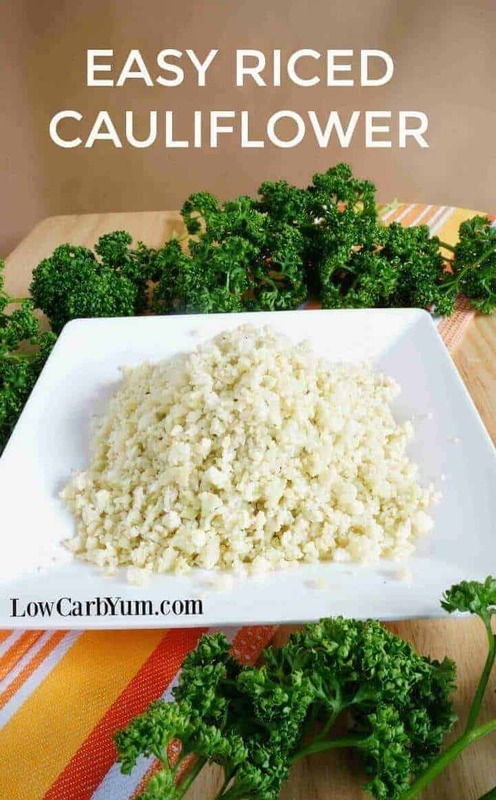 Do you have another method for cooking riced cauliflower? If so, we’d love to hear about it in the comment section below! 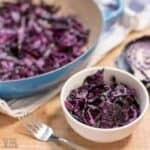 This low carb alternative to rice is quick and easy to prepare. 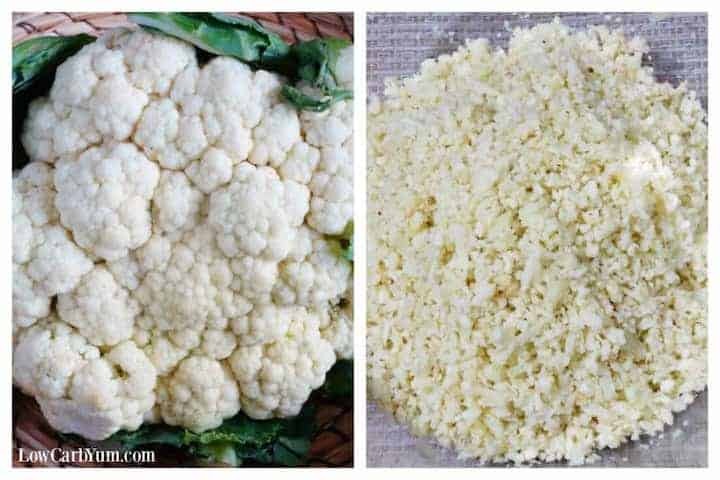 No wonder cauliflower rice has become so popular with those watching their carbs. Place grated or finely chopped cauliflower in a covered glass microwave dish. Microwave about 5 minutes or until just tender. 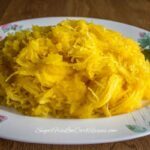 The best way to rice cauliflower is to use the grating blade on a food processor. If you don't have a grating blade, the cauliflower can be chopped fine by pulsing in the processor or just cut by hand or use a hand grater. A hand chopper works well too. Post updated in January 2019. Originally published October 2010.